As one of the most popular and versatile building materials used today, low-e emissivity (low-e) glass coatings can enable exceptional energy efficiency and aesthetics. But how do they work? When designing commercial spaces, choosing the right type of glass is critical. In order to choose the right product, evaluating a glass’s aesthetic characteristics up close by viewing a glass sample is also crucial. Sample evaluation can be a make-or-break moment in the course of your project. Do you know how to properly view glass samples or full-size mockups? Choosing the right architectural glass is crucial to a successful project. For more informed decisions in the evaluation, selection and specification of architectural glass, Vitro Architectural Glass (formerly PPG glass) recommends becoming familiar with the properties and benefits of the four most common glass types: low-e coated glass, clear glass, low-iron glass and tinted glass. Imagination and creativity are critical skills that enable architects to create beautiful, vibrant and sustainable buildings. However, one aspect of successful projects that often goes under the radar is the glass specification. From project conception to completion, specifications provide a necessary “check and balance” to ensure that the proper products are being used and that current industry standards are being followed. 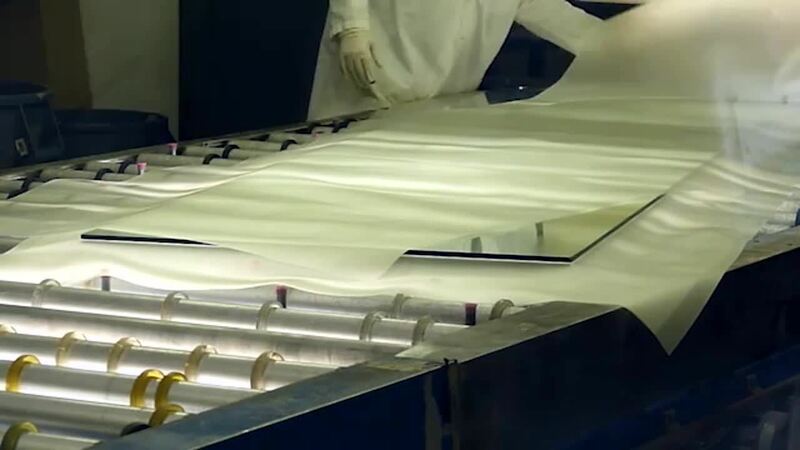 Achieving optimal performance of solar control low-e glass and passive low-e glass requires proper placement of low-e coatings on the glass surfaces of an insulating glass unit (IGU). 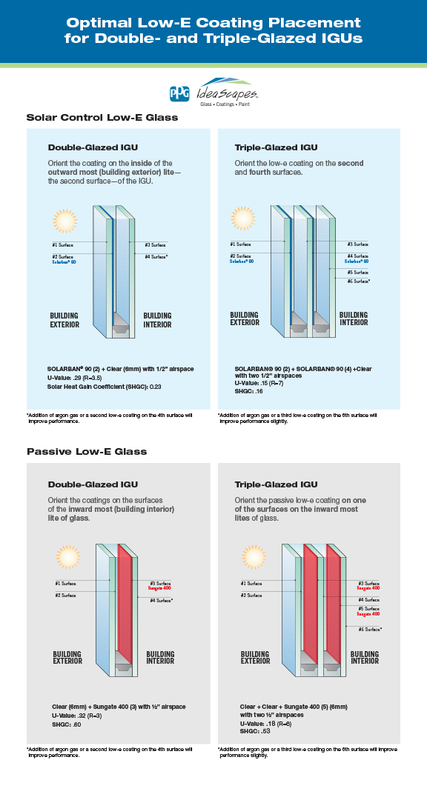 Placement considerations vary depending on whether the glass is solar control low-e glass or passive low-e glass, and whether the IGU is double- or triple-glazed. To make more informed decisions in the evaluation, selection and specification of architectural glass products, Vitro Architectural Glass (formerly PPG glass) recommends using an installed systems cost approach. The pie chart below indicates the approximate cost percentage of fabricated glass relative to a typical installed curtain wall total cost. The table, “Fabricated Glass Options,” indicates the relatively minor cost impact of selecting various Solarban® solar control low-e coated glasses by Vitro glass on the overall installed cost. Glass is one of today’s most versatile building materials due to its virtually unlimited aesthetic options and outstanding energy characteristics. The breadth of glass colors available is one reason why glass is so aesthetically versatile. But how does the industry ensure precise color accuracy in glass coatings? 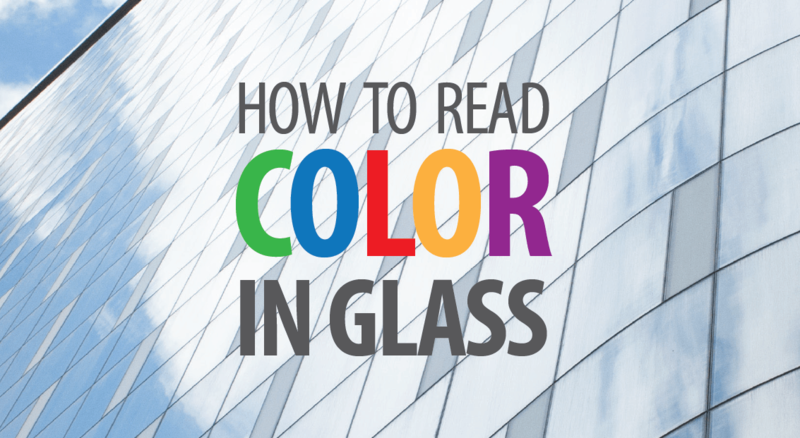 And how do you read color in glass? Heat-treated glass provides both the durability and safety found in many of the world’s most visually breathtaking buildings. 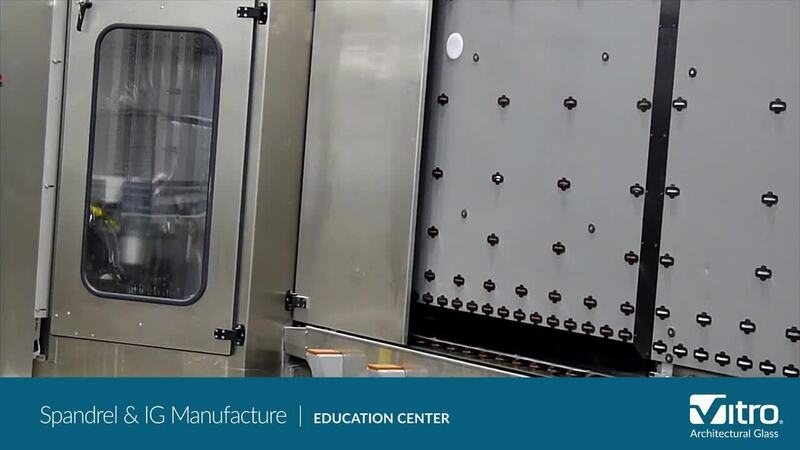 But manufacturing heat-treated glass is a complex and multi-step process. 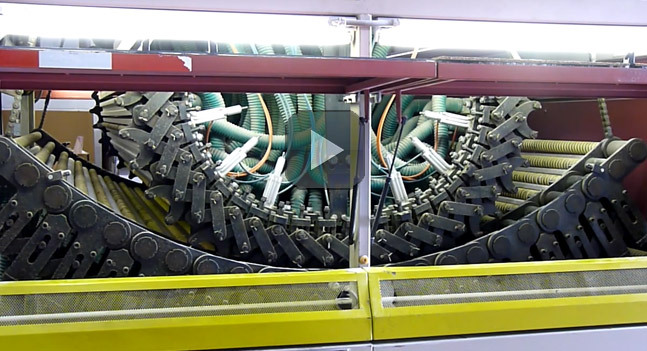 This video provides an explanation of how insulating glass units (IGUs), spandrel glass, tempered glass and heat-strengthened glass are manufactured, courtesy of United Plate Glass in West Butler, PA.